Volume 2 of Artistic Musical Conducting continues the discussion of conducting beat patterns and styles, from the basics to more complex issues such as fermatas, preparatory beats, and cueing. 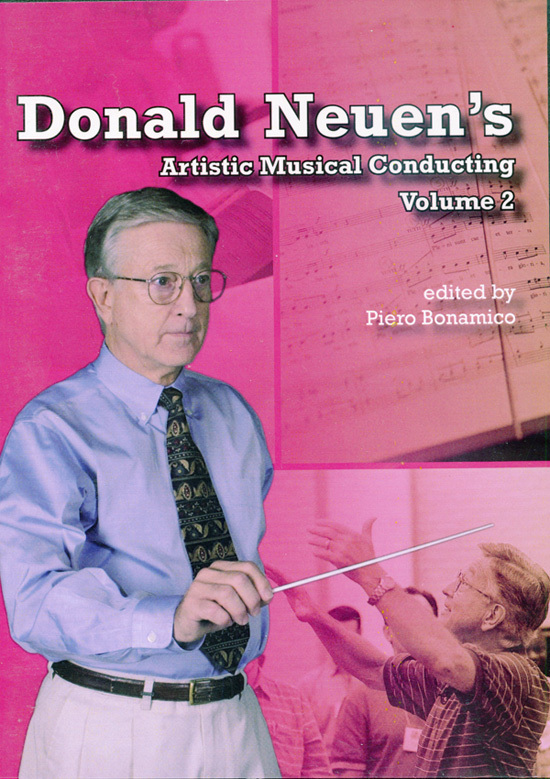 Any musician who is ready to step onto the podium will be well served by Donald Neuen's clear, logical, natural examples and demonstrations. This and his other DVDs will prepare you to stand in front of any ensemble, whether instrumental or choral, and feel confident that your conducting is clear, effective, and in the best possible service to the music!